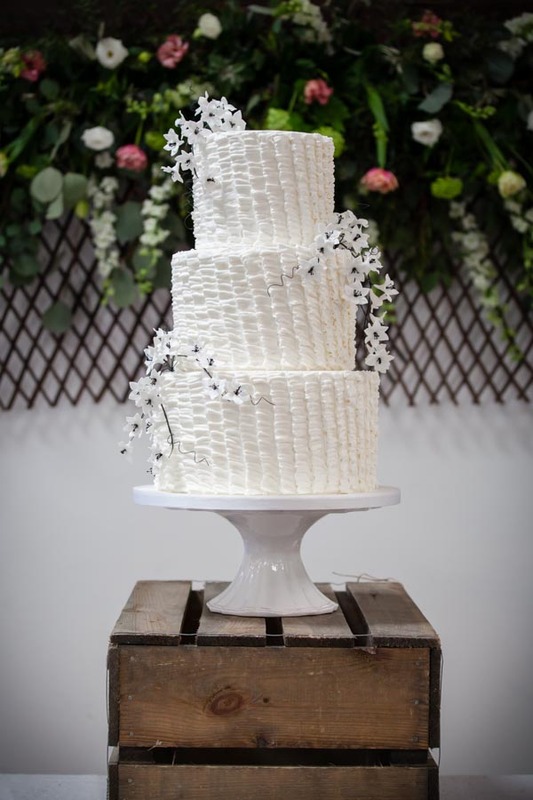 Three tier wedding cake created for the Wedding Cake Showroom at the annual Squires Kitchen Exhibition. Cake finished in royal icing, with royal icing piped ruffle work. 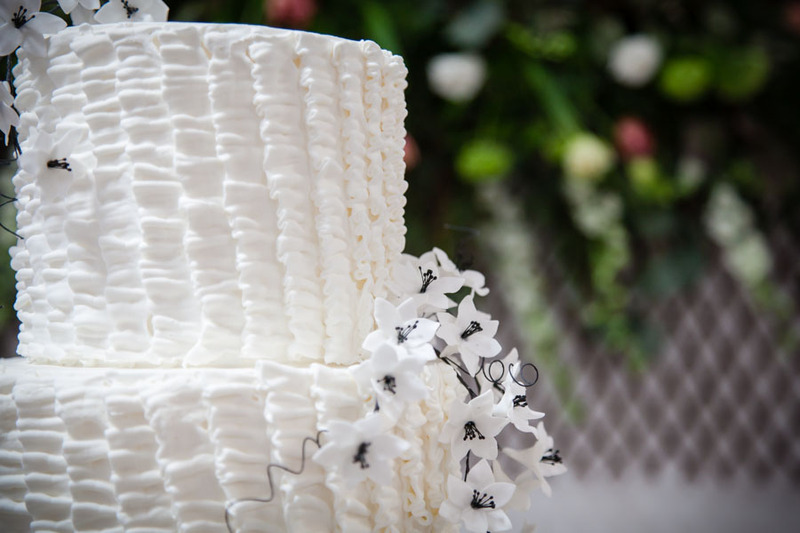 Top tier and central tier decorated with a cascade of wired white sugar blossoms. Cake serves approximately 150 finger portions. Image by Clare, FitzGerald Photographic. Images taken at Blackstock Farm, Hellingly, East Sussex.